The black dial is the most understated of the group, offering a smooth slick option of the V1-Class. Beautifully constructed 43mm case. A Stunning classic timepiece constructed from years of experience made available at a fraction of the price with our "distribution free" model. Created by Ilan Srulovicz Founder of Egard Watch Company. The V1 series was created to fill a gap in the watch market today. Quality watchmaking at a truly affordable price. We broke the traditional sales model and are offering the V1-Gent directly to you, bypassing wholesalers, retailers and distributors. "I designed my first timepiece for my father years ago as a Tribute to him, to thank him for all the things he did for me growing up. 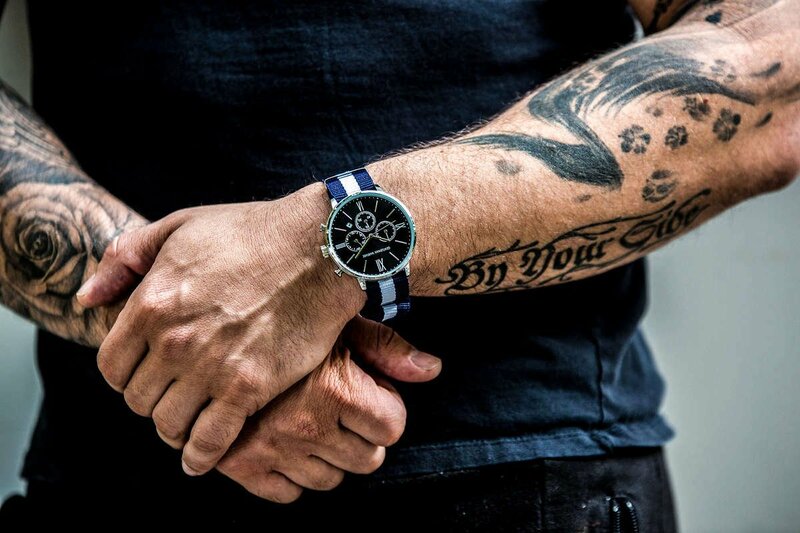 Timepieces are far more important than just functional jewelry. They serve as markers of the most important memories and people in our lives. They can be carried on for generations among family members. 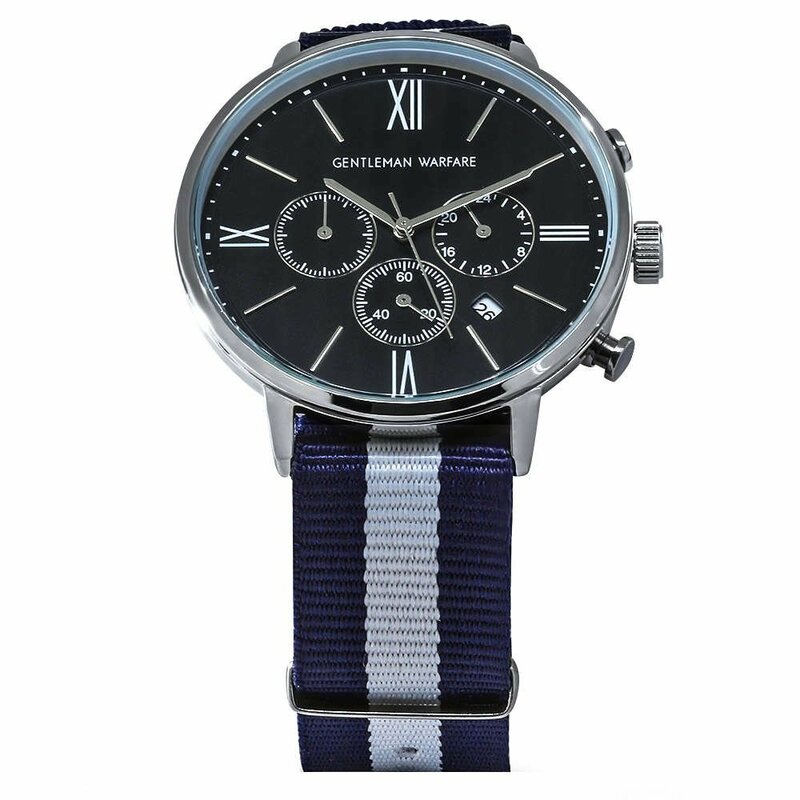 My father and I both are both the team behind this new timepiece entitled the "V1-Gent" under our new collection Gentleman Warfare. We are truly proud of the quality and look of this piece." The V1-Class comes with a 43mm case and hardened mineral crystal. The bezel free design makes this timepiece perfect for dress shirts and understated styling that still pops and looks elegant. 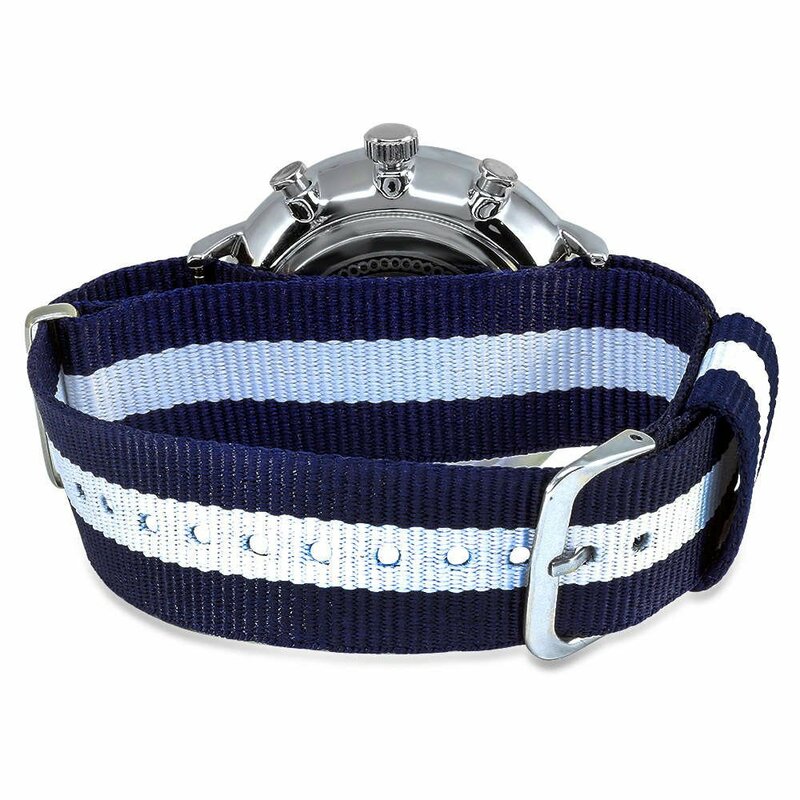 Our nato straps are incredibly comfortable and add new colors and dimensions to an already gorgeous piece.